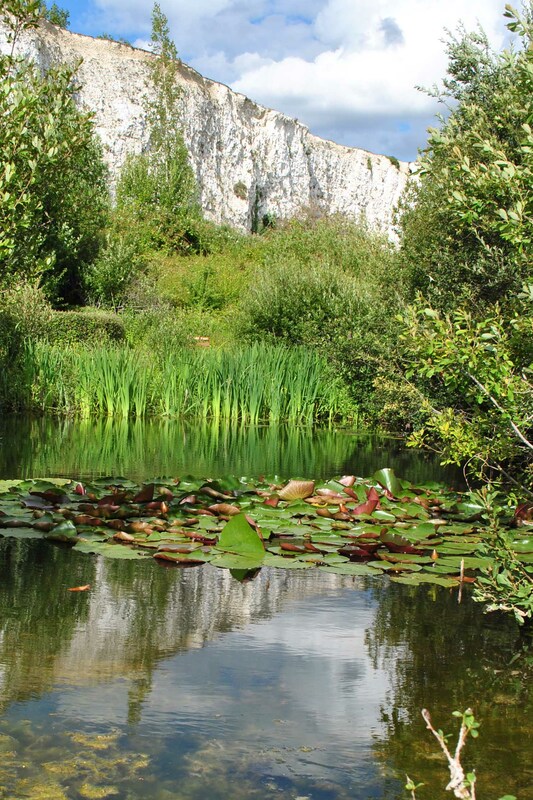 Monkton Nature Reserve is a 16 acre wildlife oasis reclaimed from a former chalk quarry in East Kent, and it is now home to many protected and endangered species of fauna and flora. At Monkton Nature Reserve it is estimated that there are over 350 species of flowering plant, including 9 species of orchid, and 25 species of butterfly have been recorded (half the total number of species that are found in the UK). Monkton Nature Reserve was the first place in Kent to receive RIGS (Regionally Important Geological Site) status because of the ease of studying geology and the large number of interesting features it has. It is also home to the first artificial bat cave to be constructed in the UK. 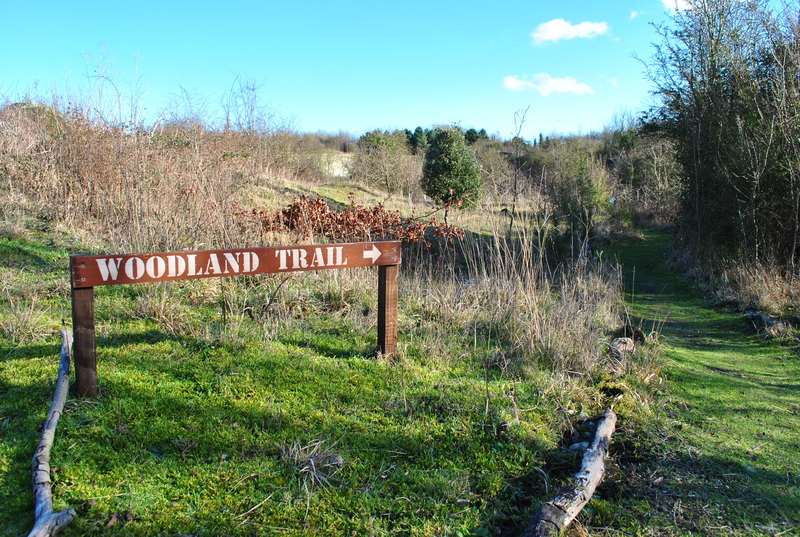 There are a number of trails laid out and signposted around the reserve to allow visitors to take in all the varied habitats. There are two primary trails: the Quarry Trail, which takes in the majority of the lower part of the former quarry pit, now reclaimed by nature as chalk grassland; and, the Woodland Trail, which leads up to and around the relatively young Sparrowhawk Woods which overlooks the quarry area. Be sure to look out for common lizards basking on the logs that mark out the paths as you explore. 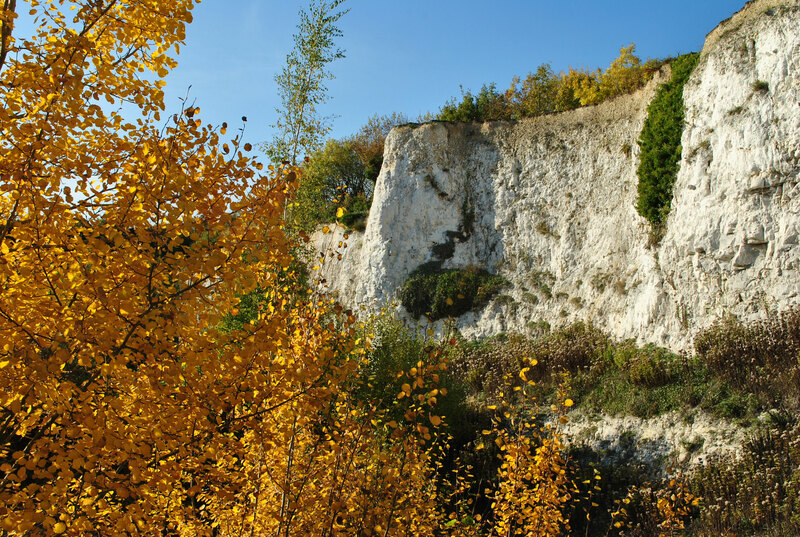 The quarry chalk cliffs are of Late Cretaceous age (Santonian) and were formed at the bottom of an ancient ocean 80 million years ago. They contain some good chalk fossils. The cliffs now act as home to a number of bird species and to bats. At the base of the cliffs are scree slopes, made up of loose rocks from cliff fall. These are used for hibernation by the great crested newts and many other small animals and insects. Vegetation has colonised these scree slopes, due to warmer temperatures reducing cliff erosion and halting cliff fall. During the Ice Age, a river ran across this area. With the excavation of the quarry, the dry river bed can now be seen in cross-section as a noticeable brown discolouration at the top of the cliff edge on the eastern side of the quarry. Scientists have been able to determine that the river flowed from this easterly direction before turning south to head towards the village of Monkton. There are two ponds inside the Reserve. 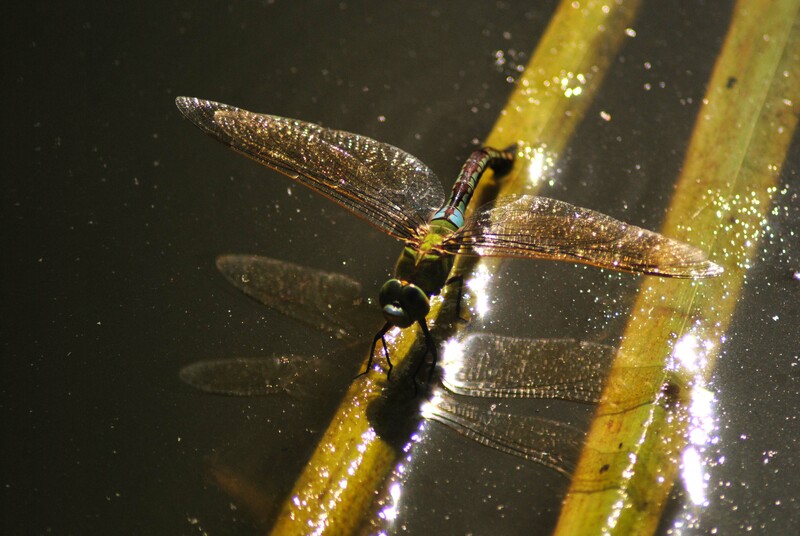 Dragonfly Pond is on the quarry floor and is fed by groundwater, so has a fluctuating water level depending on the season. During the winter, the level can rise to as much as 5m in depth and flood the surrounding area of the quarry. The pond is popular with dragonflies, as its name suggests, as well as broad-bodied chasers. The smaller Damselfly Pond is a butyl-lined pond higher up in the Reserve, in a secluded location overlooked by a small bird hide. As its name suggests, damselflies are frequent visitors here. Both ponds are visited by grass snakes on hunting expeditions, and both have healthy populations of the protected great crested newt. There is evidence that the rare water vole is also present at Dragonfly Pond. 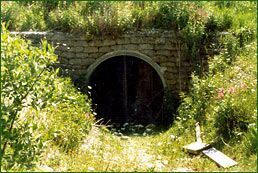 The Reserve built the UK’s first artificial bat cave in 1986. It is located close to Dragonfly Pond, at the base of the chalk cliff. It’s purpose was to help prevent the decline in Britain’s bat species, particularly the brown long-eared bat, by creating a suitable roosting and hibernation site. Unfortunately, due to frequent flooding in recent winters, there are currently no bats resident in the cave. It has been confirmed, however, that there are great crested newts and smooth newts inhabiting the structure, and there is evidence for the presence of water vole. There is a small, young woodland in land above the quarry. Named Sparrowhawk Woods, this woodland was first planted in the 1970’s and is becoming well used by the bird population. 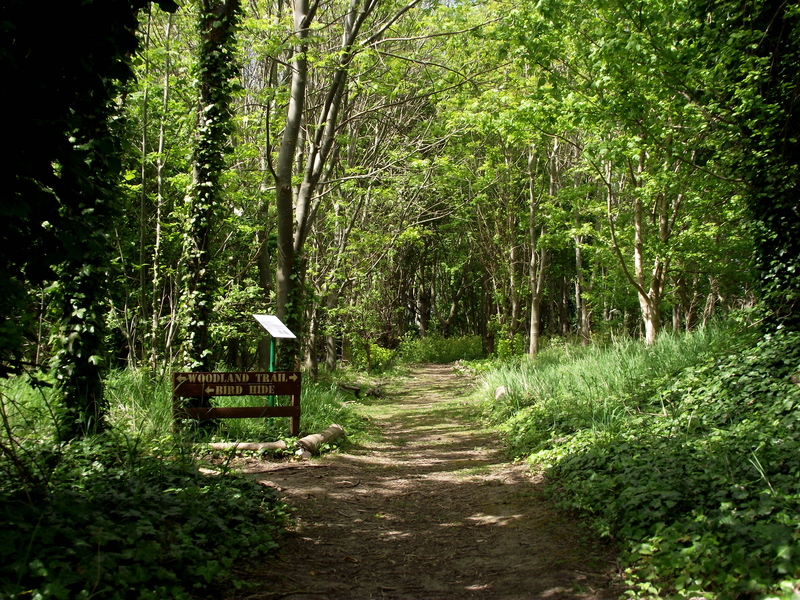 A circular woodland walk allows visitors to view a diverse variety of plants, including orchids, snowdrops, snowflakes, bluebells, primroses and many more. Piles of logs and branches will be seen in various locations. This is intentional, and provides a habitat for small animals and fungi, which in turn provide food for other larger organisms. The larger and older the woodpile, the higher the diversity of species one can expect to find there. A bird hide on the southern edge of the woodland overlooks the reserve, from where you might catch sight of kestrels, buzzards and, of course, sparrowhawks. A full-size replica Bronze Age Barrow was built in the woodland in 1992. This is a long term experimental project to obtain data for the Thanet Archaeological Unit. A model of the barrow can be seen in the Frenken Room of the Field Study Centre. Close to the top of the steps which connects the quarry area to the upper part of the reserve, a pit has been excavated. The ‘Loess Pit’ reveals Ice Age silt deposited by glacial action. This type of deposit is rarely seen in England, but is easily accessible for examination here at the Reserve. Marbled white butterflies are common along this stretch of grassland, so we refer to this area as Marbled White Meadow. 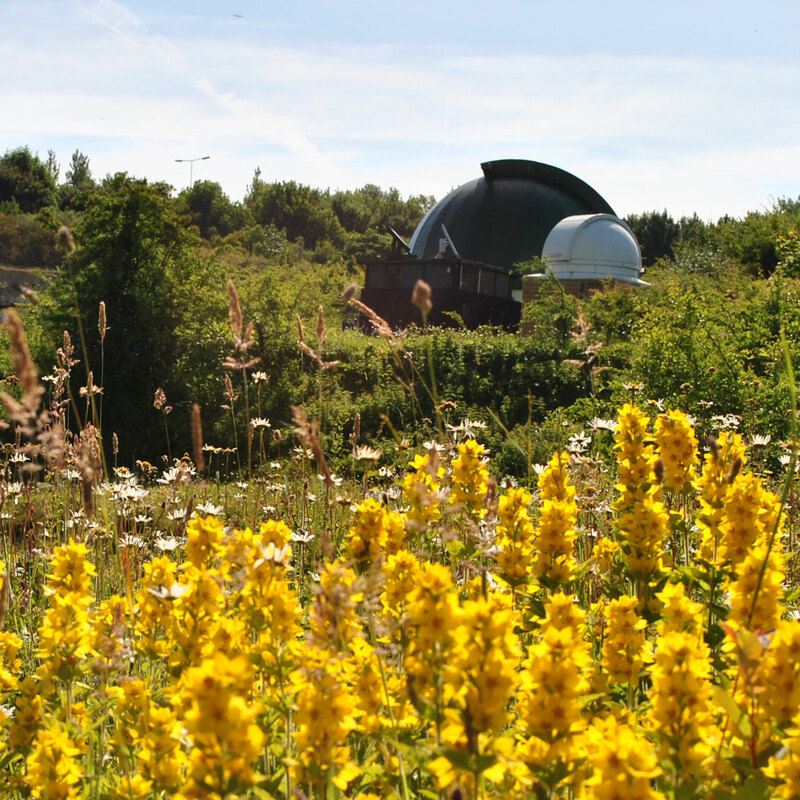 The two Thanet Observatories are home to the Monkton Stargazers astronomy group. They are situated in the centre of the nature reserve. The larger observatory houses a 12″ f5.89 reflecting telescope and was installed on site in 1999. The smaller, second observatory was erected in 2015 and is currently being calibrated. The Monkton Stargazers hold frequent viewing sessions throughout the year. To find out more about astronomy at the Reserve, click on Monkton Stargazers. 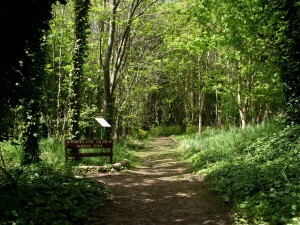 The Willett Educational Garden is named in honour of Allan Willett, Former Lord Lieutenant of Kent and one of Monkton Nature Reserve’s major benefactors. The Willett families involvement with the original quarry site dates back to the 19th century. 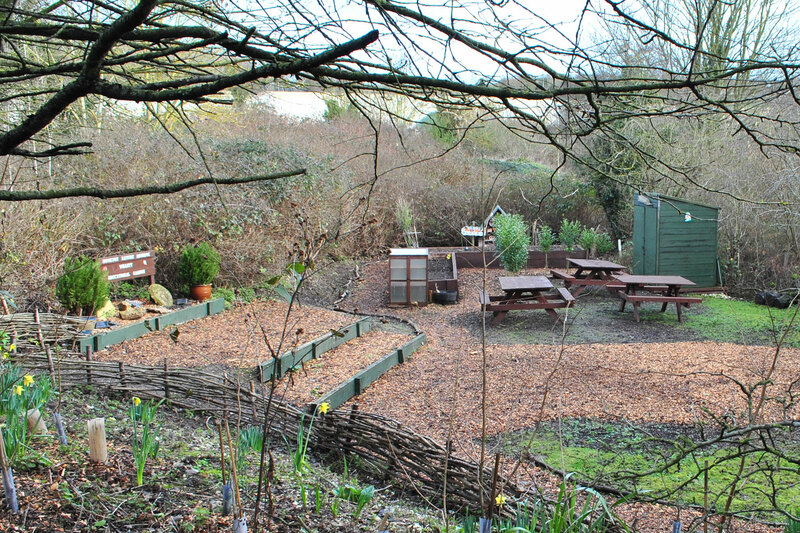 The garden has a small horticultural area which is partially managed by a local special needs group. 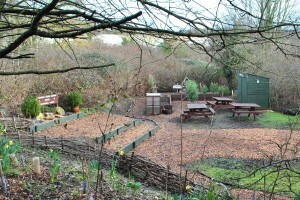 The garden is also the smaller, more secluded of our main picnic areas. 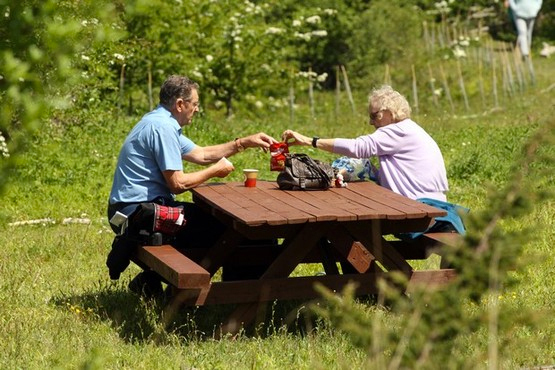 The main picnic area is close to the Field Study Centre, with more picnic tables located in the Willett Educational Garden and another one positioned at Kestrel View, near the entrance to Sparrowhawk Woods on the upper level of the Reserve. The main picnic area has a barbeque. 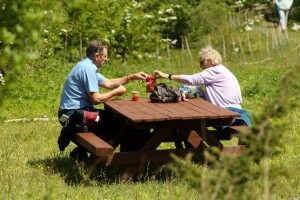 There are also a number of benches located throughout the reserve, where you can sit to relax and admire the varied views.